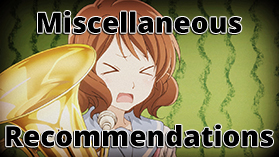 Unlike most of these posts I do, I’ll not only cover the shows that aired during the season, but some movies and ONAs/OVAs that were released during the past few months. All of that stuff is at the end of the post. Picking up from last time, here’s how this season’s anime are holding up. Spoiler alert: they’re pretty okay.